Commission to Investigate Bribery or Corruption (CIABOC) has received 1968 complaints during the past nine months of the year, according to the commission. 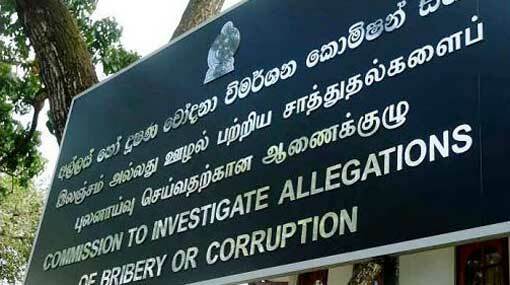 Director of Investigations Division of Bribery Commission SPP Priyantha Chandrasiri stated that 1264 complaints have been selected to be investigated. Reportedly, these complaints include 900 cases related to corruption, 254 related to bribery, 63 pertaining to misappropriation of money and 47 raids. Among the raids that were carried out, 28 had been successful as of August 15, and 31 individuals including public sector officers had been apprehended, according to SPP Priyantha Chandrasiri. Twenty-nine of the arrestees reportedly include public sector officers such as Agriculture Research Officers, Assistant Superintendents of Police and Inspectors of Police. The Bribery Commission has filed 74 cases for the past few months of the year and 57 of these cases were filed at High Courts, while the rest of the 17 cases were filed at Magistrate Courts, further stated SPP Priyantha Chandrasiri.